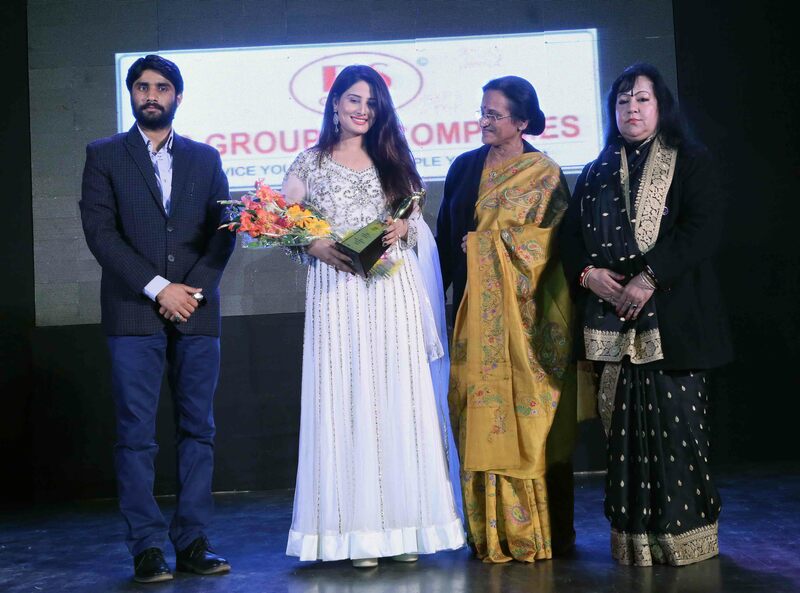 Newbie actress Arjumman Mughal is on cloud nine. 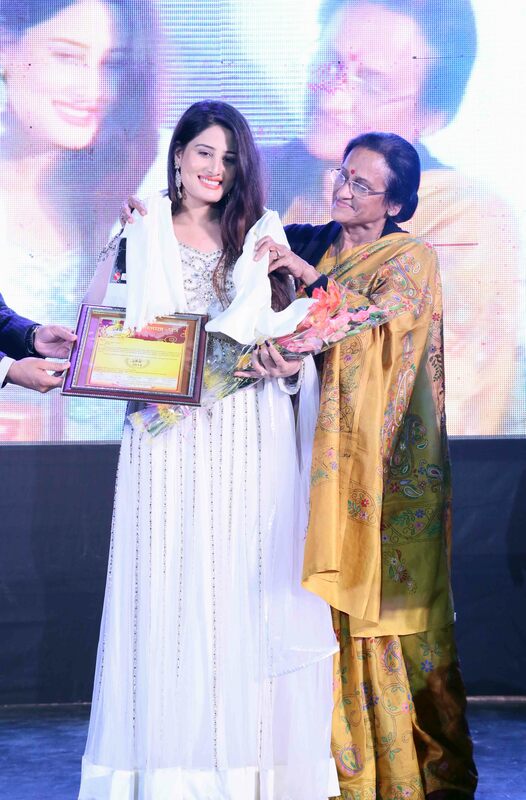 Recently, she bagged the ‘Shaurya Award for Bravery and Excellence’ for her role as the female lead in Ya Rab. 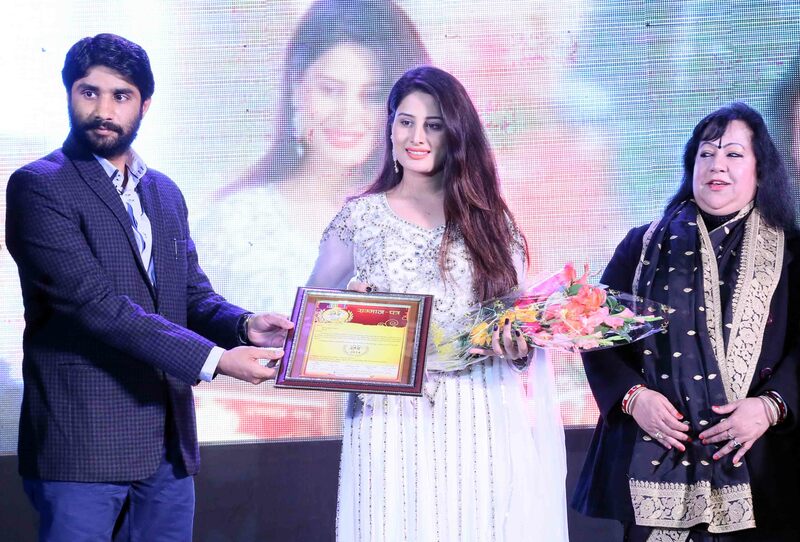 Arjumman, who starred opposite Bigg Boss-fame Ajaz Khan in the acclaimed movie, accepted the award decked in a dazzling white flowing dress studded with silver embroidery with silver earrings to match. The award ceremony presented by Aviral Group was attended by political leaders and bureaucrats. “This award brings pride and honour. I wasn’t chosen only for my acting credentials, but also for courage in accepting such a sensitive role,” she said. Now, that’s an interesting take! But one wonders, what’s so courageous about accepting to play a character? In case you haven’t seen the film yet, let us tell you that Ya Rab has been highly praised for its sheer audacity to show how the religion of Islam has been used by some unscrupulous elements, as a tool to propagate violence and terrorism. Inspite of moderate success at the box-office, the film received rave reviews for focusing on a very delicate issue about a few self-proclaimed Maulanas (Islamic preachers) misinterpreting The Quran and its real meaning. It was hailed as a genuine effort to showcase the correct face of Islam and help bring misguided youth back to the right path. Being a Muslim herself, Arjumman boldly essayed the character of Amreen who is related to a scheming and corrupt Maulana. She gracefully played a pregnant girl who is the only witness to a bombing.